Get Your Transmission Maintenance Service, Repair or New Installation Here! 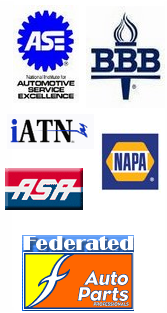 The Area's Premier ASE Certified Full Service Automotive Maintenance Repair Facility & Hydraulic Specialty Hose Service. Proudly Serving the Tri-State Area: Ohio, Kentucky and Indiana area since 1982. Every car owner wants a great car repair shop they can trust, one that's located close and offers value and integrity. But it can be a challenge to find one easily, and without trial and error. Our expert ASE Certified Master Automotive Technicians are trained to correctly diagnose and repair your vehicle correctly the first time, every time. Work performed on all makes and models (also light trucks) and provides a full range of automotive services, including those for engines, transmissions, batteries, shocks/struts, belts and hoses, cooling systems, brakes and tires, and more. Copyright © 2008-2018 Laine's Automotive & Hydraulic Service, All rights reserved.